Situated at the eastern end of the village, close to Church Cove, Brick Cottage is one of the few examples of brick built dwellings at The Lizard. The village centre with shops and pubs are only a five minute level walk, Church Cove is only a little more than that and Lizard Point approximately 20 minutes’ walk from Brick Cottage. Entered from the driveway into a private courtyard and then into the kitchen which has all the essentials; an electric cooker, microwave, fridge with freezer compartment, washing machine, kettle and toaster. The cosy living room features a beamed ceiling and brick fireplace with electric fire effect heater. There’s a pair of two seat sofas and an easy chair, a TV with DVD player and selection of books and DVDs. The dining room is off the living room and also sports a beamed ceiling, the dining table and 4 chairs have a garden view. Also on the ground floor is the family bathroom, it has an has electric shower over the bath and matching handbasin and toilet, heated towel rail. Stairs to first floor (stairgate available) where the bedrooms are off a small landing. Bedroom one has a 6' super king-size bed which can be made up as twin single beds by prior request, a double wardrobe, bedside tables with lamps and a dressing table complete this room. Bedroom two is a double bedroom with 4'6” bed, bed side tables and lamps and a double wardrobe. Kitchen door to enclosed and dog proof private courtyard garden with garden furniture, and BBQ area. Off-road parking for two cars. Rental includes electricity, central heating, WiFi, bedlinen and towels. 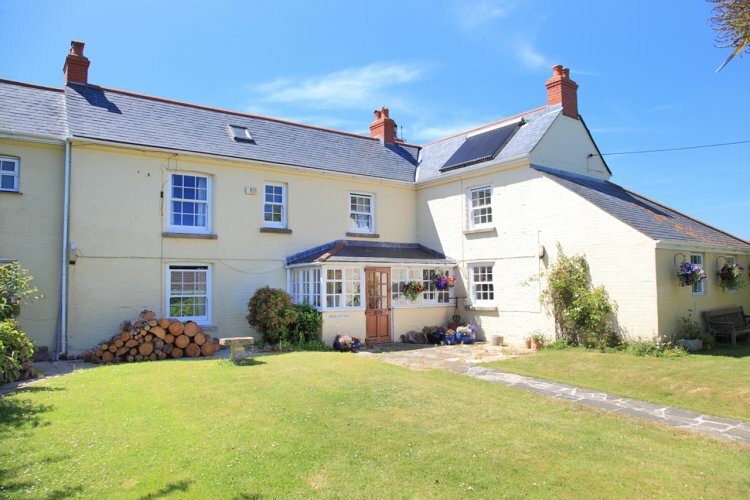 This property accepts two dogs by prior arrangement at £25 per week per dog. For your convenience the owners live on site with one other letting property - The Lobster Pot. This property is not open for online booking yet, please contact us or check back soon.